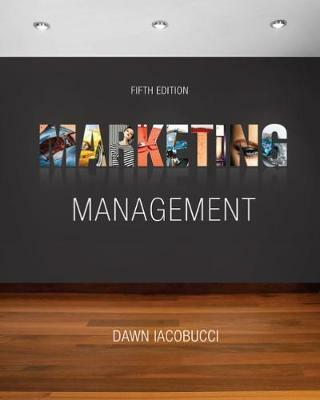 Now you can master the core concepts in marketing management that you need as a undergraduate marketing major, first-year MBA or EMBA student with the detailed material in Iacobucci's MARKETING MANAGEMENT, 5E. You are able to immediately apply the key concepts you learn to cases, group work, or simulations that are assigned in your course. MARKETING MANAGEMENT, 5E reflects the dynamic environment facing today's marketers. Engaging explanations, timely cases and memorable examples help you understand how an increasingly competitive global marketplace and current changes in technology affect the marketing decisions that today's managers must make every day.